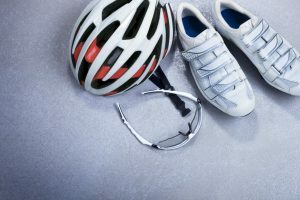 The right mountain bike shoes can improve your riding performance greatly. 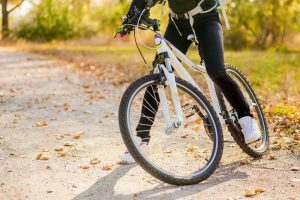 If you have only ridden your mountain bike wearing sneakers or hikers, then you know that they pose a lot of serious problems. 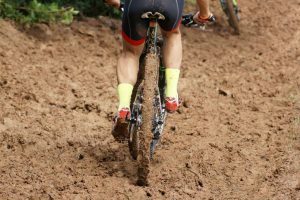 With this mountain bike shoes guide, we will introduce you to the different types of MTB shoes that are offered on the market today. 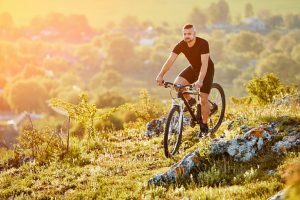 When you ride a mountain bike wearing regular shoes, you most probably do not get all the benefits that cycling offers. With the right mountain bike shoes, you can actually step up your cycling game. Listed below are the benefits of wearing MTB shoes. The stiff sole of mountain bike shoes ensures that all the power exerted by your leg muscles goes straight to the pedal. With regular shoes, a portion of this energy is absorbed by the shoe’s cushion. 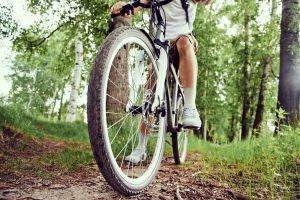 Mountain bike shoes are designed to lock onto the pedals, which then result in your feet staying in the best position possible. The fact that your feet cannot slip around means that you can get a decreased chance of getting hip, knee, or ankle injuries. 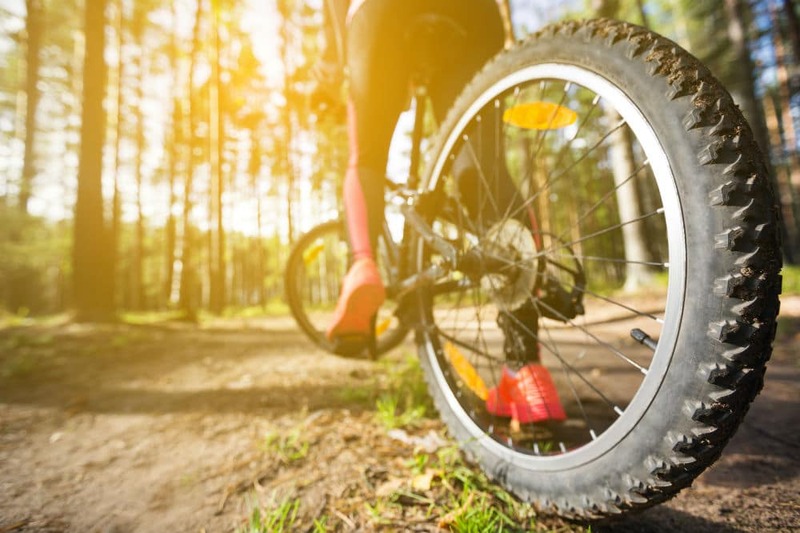 When you wear regular shoes when riding a mountain bike, it is hard for your feet to stay in the correct and comfortable position for riding. Clipping in makes it possible for you to enjoy the comfort that riding in the most optimal cycling position offers. 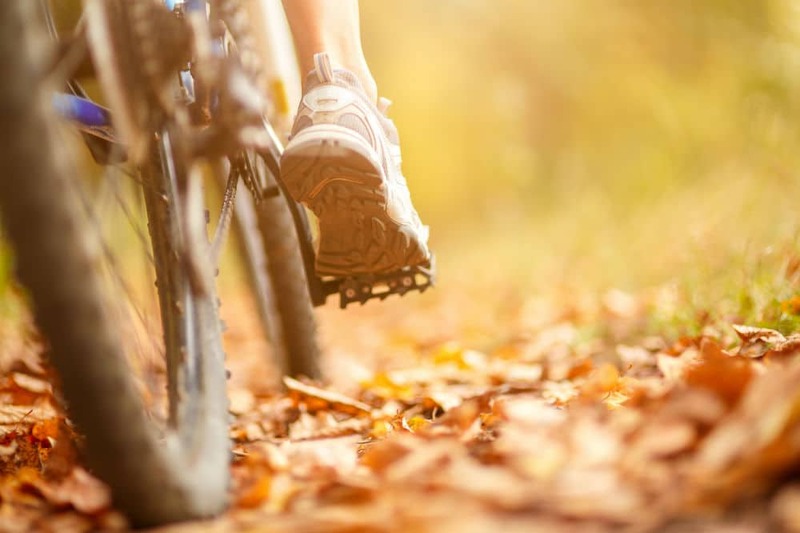 Wearing mountain bike shoes improves the overall quality of your riding experience. It removes unnecessary stress from other parts of your body and helps you focus more on the right muscles. In this way, you are able to get more from your workout as compared to when you wear regular shoes for cycling. To help you get on the right track on your search for your new pair of MTB shoes, we have listed the many different types of mountain bike shoes that you can choose from below. These types of mountain bike shoes come in many styles and are manufactured by a number of reliable brands all over the world. Generally, this type of mountain bike shoes are designed with a hard plastic sole and use several Velcro straps to secure the foot in. They are most commonly used by performance racers and cross-country riders. Race cleats come in a bike-specific design, and therefore cannot be used for walking and any other activity besides cycling. They are usually the most expensive type of mountain bike shoes because most models use expensive materials such as carbon. 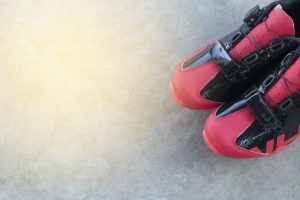 For the apparent reason that they are used for downhill and freeriding, this type of mountain bike shoes sports a burlier look compared to the other options. They are designed to provide the most support and protection. Usually, they come in a high-top design combined with a hard and flat sole to complement the large platform of downhill clipless bike pedals. If you prefer a casual-looking pair of mountain bike shoes, then go for a hybrid. This type of mountain bike shoes fall under the clipless shoe category, but they are used with flat pedals. They come with a removable rubber patch where you can choose to install cleats in. Hybrids are perfect for trails with hike-a-bike sections because they are comfortable to use for both walking and cycling. Most hybrids utilize materials such as suede and leather and sport a hiking shoe-like design. 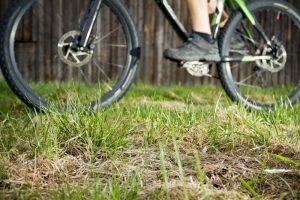 For those who do not like to be clipped onto the bike’s pedals, you can choose to invest in a pair non-SPD mountain bike shoes. They are mostly equipped with a hard, flat sole that has a sticky rubber that adheres to the bike’s pedals. With non-SPD mountain bike shoes, you get to enjoy the increased flexibility and range of movement that clipless shoes offer without fully clipping in. These shoes are suited for those who enjoy a more freeform type of cycling. 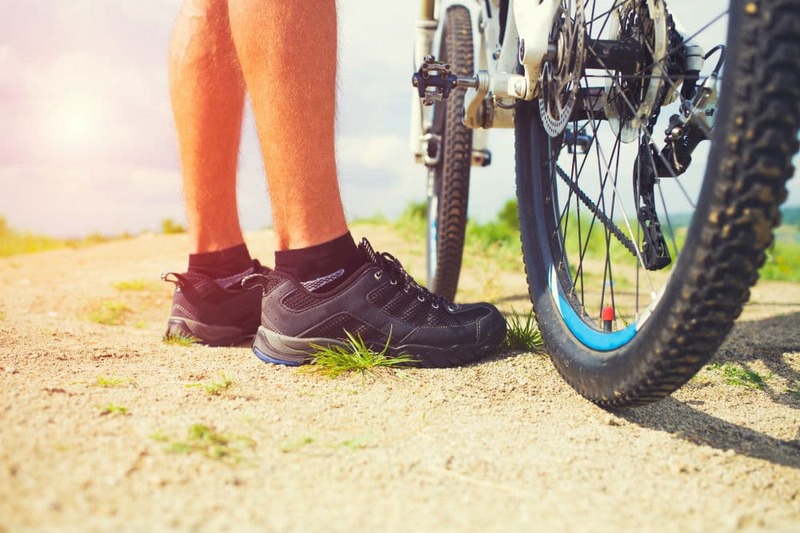 With the help of this mountain bike shoes guide, you can now make a well-informed decision about which type and model of MTB shoes to invest in. Depending on when, where, and how you ride, you can find the right pair of mountain bike shoes that are perfect for your needs. 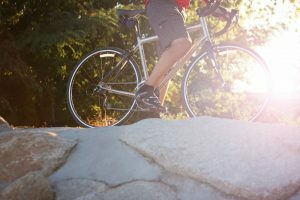 Some of the major brands such as Shimano, Bont, Sidi, and Laker boast a vast selection of models that each offer their own set of features and benefits.